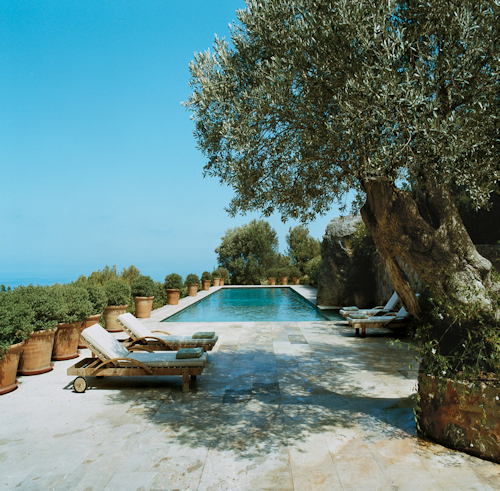 What a seductive photograph of a Majorcan poolside setting by Francois Halard (below). Jasmine and an old — and probably wise — olive tree provide ambrosial shade in an idyllic Mediterranean setting. Can anyone work out the time from the position of the shadow? But there's something missing. You. A little bird tells me that you've been working hard again. By rights, you deserve to be ensconced poolside this summer, chilled gin and tonic by your side and a copy of The Conquest of Happiness at hand. And what about those milk-white legs that have been locked in pinstripe far too long? They should be released into a smart pair of shorts by Swim & Co.
You can invite other people to the scene, but quiet people — one's voice around the pool need be no louder than the sound of a backgammon checker being placed on a leather board. Barbarians yell. We wish to hear the sounds of the sea and of nature, do we not? The nightingale with feathers new she sings. The sun is rising and sumer is icumen. Preparations for summer are afoot at Tweed Towers. Gin is being reintroduced after the winter lay-off and I have taken the traditional delivery of swim shorts in one of the latest spiffing designs from Swim & Co..
A favoured gin is from the City of London Distillery, a micro-distillery in Bride Lane in the City. The beautiful bottle designs for the City of London's gin range sit rather nicely beside the Tanqueray No. TEN. 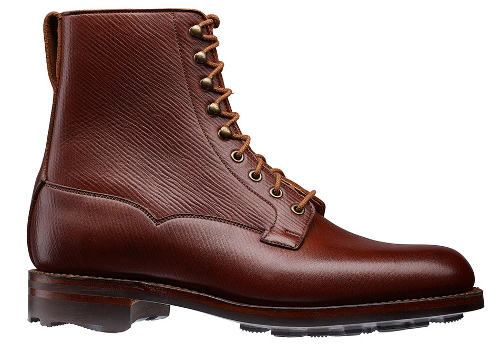 The design evokes the shape of the dome of Saint Paul's cathedral. 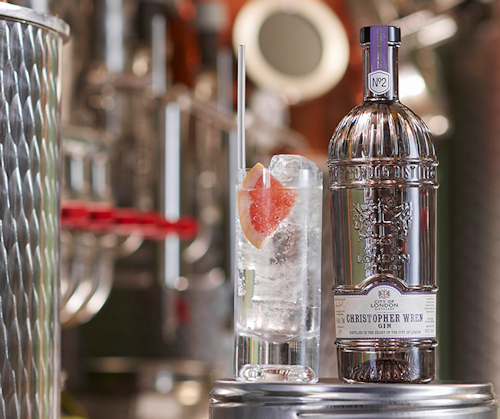 Christopher Wren (No.2) rather deliciously 'combines the subtle flavours of juniper, coriander, angelica root, liquorice and sweet orange'. Summer flavours. Swim shorts from Swim and Co.
Each year our Iberian amigos at Swim and Co. bring out limited batches of swanky bathing shorts in fresh new designs. The swim short is their specialist subject and each design is an attempt at capturing the sensuality of the poolside experience when summer beams forth. This year I've plumped for the classic Amalfi Blue Paisley, a glorious swim short with deep blue paisley patterns that come alive in bright sunshine. If it could only be like this always – always summer, always alone, the fruit always ripe and Aloysius in a good temper.